Google Analytics is one of the most popular tools used to measure and track search marketing campaigns. The following article explains how Google Analytics works. Google Analytics is a powerful measurement tool that can help to grow a business online. Google Analytics is a free tool offered by Google to measure the Key Performance Indicators (KPIs) and the visitor traffic of a website. Business owners can leverage this service to measure a number of variables. Here’s how businesses can use Google Analytics for their SEO or Ads Management. View website visitors and data in real time. Google’s Analytics platform makes it possible to monitor user engagement in real time. More specifically, it displays how many visitors are currently navigating through the website and which pages they are landing on. The Analytics tool can also provide insights that highlight geographical location, sources and navigation channels visitors used to land on the site (social, direct search, organic search, paid search, etc). Another real time feature the platform offers is conversion tracking. It’s particularly useful to observe and audit the desired responses and actions from website users. Analytics can categorize the user base into sub-categories–demographics, interests, geographical location, behavior, whether they are a new or returning user, and how long they stay engaged on in the site. Furthermore, the analytics tool has the ability to identify browsers and devices users prefer when visiting the website. This can benefit the SEO or Ads management efforts of a local business because, mobile data traffic grew 74%. The Analytics platform can track how the user discovered or navigated to the website. In 2018, social media drove 75% of overall traffic to websites. Audit site performance to improve user behavior. The Analytics interface can measure page performance by analyzing the user behavior. For example, if the loading speed of a specific landing page is slow, it’s a problem because the result can be a negative user experience for visitors. Google Analytics will offer solutions to resolve the issue and improve the quality of the user experience. If a website has a search bar, the tool can provide information about the keywords visitors are searching for within the site. Determine Conversion rates so you stretch your dollars further with Ads Management. Customize conversion objectives to track the frequency and quantity of visitors completing specific goals and targets. This feature can help small businesses stretch their advertising dollars further. If a website page is failing to convert high volumes of visitors, the report will identify “which stage” of the engagement funnel the consumer lost interest. This feature offers a great benefit for Google Ads Campaign optimization because this metric tool will also analyze the optimal dates and times when landing page performance can produce the most conversions. Evaluating the data will also help to quantify which elements on the site are driving conversions, and which elements are stalling the overall engagement goals. Here are 3 key ways Google Analytics can help grow a business online. Targeting the demographics with the highest value can result in higher engagement, conversions and organic search ranking. Different businesses have different objectives. 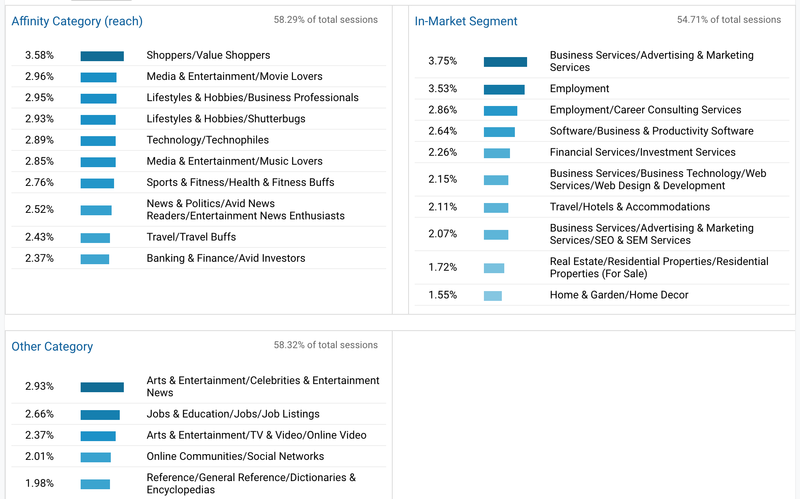 The analytics platform tracks the KPIs that are most relevant to specific verticals. These can include user engagement, website traffic and traffic sources, goal achievements, conversions, and many other variables. This data can be compiled to produce a snapshot of the overall performance of the digital property. Google Analytics measures bounce rate, page visits, and session duration to provide user engagement data. Checking the reports frequently will help to determine the content that customers are engaging with the most, as well as any content that is driving them away. Analyze this data and revise any questionable content so that it is relevant and engaging to the target. You can gain a tremendous amount of SEO and marketing insights from Google Analytics (Links to an external site. )Links to an external site.. The actual search term that users are entering into the bar can also help to provide insight into content ideas (Links to an external site. )Links to an external site.. When many people start diving into their marketing analytics, they’re nervous. Maybe they’re new to the technology, so they’re worried about it being too complex and confusing to use. Maybe they haven’t analyzed their marketing before. Maybe math was never their strong suit. Or maybe they’re just worried about messing something up. It doesn’t have to be this way. If you have the data that needs to be analyzed, some helpful analytics resources, and a little confidence in yourself, you can report on your analytics. This post should help you with the latter two. We’ll dive into some of the common misconceptions about analytics and give you some resources to reference so you can get past that nervous phase and on to the good stuff: actually measuring your marketing. Let’s get to it! Myth #1: You must have a mathematical background to do analytics. This may have been true at one point, but now there are more opportunities than ever for people who don’t have a math background to learn about analytics. Second, there are also a ton of resources out there to teach yourself analytics. You can subscribe to blogs or even take free online classes that will teach you about the important trends to look for in your data and how to improve your metrics. None of these require understanding calculus or having the ability to code. Myth #2: Analytics always take a lot of time to measure. Many marketers worry that analytics will take up too much time — they won’t have any left to do actual work! But that’s not always the case. Once you figure out which metrics you should be routinely measuring and how to track them in your software, it’s usually pretty quick to measure. You will know exactly where to pull them and how to make changes in your marketing based off of them. These analytics won’t necessarily take that long to work with. Sure, when you’re trying to answer a new question or solve a different problem, you will find that analyzing your data can take longer. However, you may be surprised that it doesn’t take as long as you thought it would. Myth #3: Analytics won’t tell you anything you don’t already know. Just because you think you know how a campaign is going to turn out doesn’t mean it’s actually going to turn out that way. Every time you run a campaign, you should analyze the type of content and channels that are performing well. The results you get may never be the same. Your conversion rates on email marketing will be different than social media which will be different than organic search. And these metrics may vary from campaign to campaign. The only way for you to be certain about your campaign’s results is to actually sit down and measure them. Myth #4: Your company isn’t big enough to need any analyses. From the time your first piece of content is written, you should be thinking about how you’re going to analyze it. Why? If you don’t think about analysis from the start, you may miss opportunities to add tracking in your content. Also, if you are part of a company just starting out, you will need to rely on metrics to understand how to grow — and find out if you are actually growing. Make sure your company is tracking visitor-to-lead conversion rates, and lead-to-customer conversion rates. This will help your understand if there’s an area of the funnel that is not working and help you decide what to focus on. Also track these metrics based on channel (social media, email, organic, etc.). This will help you figure out what promotional channels are really working for you. If you are not using a marketing platform to keep track of how your metrics increase or decrease over time, use a Google Spreadsheet or Excel to keep track of your progress. Here is a template that can help you get started. . Myth #5: You must report on every single metric. If you wanted to, you could spend 100% of your time reporting on every single metric available. There is an endless amount of data that you can pull and analyses you can conduct. However, not all of it is important to your company. So before you run a data analysis, set goals and write down the questions that you want answered by your analysis. Don’t get carried about by reporting on everything; try to stay focused. This blog post can help you figure out when to track certain metrics. Myth #6: You only need to report on visits and leads. To better understand how many visits and leads you are getting on your website, there are other metrics that are necessary to track using a tool like the HubSpot Sources App or Google Analytics. First, you need to report on the traffic and leads that you’re getting from different marketing channels. That means understanding how many visits and leads you have on your site as a result of organic search, social media, email marketing, paid, and more. This will help you figure out where to spend your time promoting your content. You also need to understand the conversion rates of these different channels. For example, if you just look at your website’s overall traffic and leads, you may miss an opportunity to see that your visitor-to-lead conversion rate for email marketing is actually much higher than social media. This will be a good indication that you should promote your content through email marketing more than social media. Also, don’t forget about the middle and the bottom of the funnel. When you report on visits and leads, you are doing a great job of reporting on how your marketing is performing at the top of the funnel — but to truly prove out your marketing is working, you should investigate the whole funnel. For example, one channel or piece of content may be great at converting leads but terrible at converting those leads into customers, so you might not want to dump more resources into it. By analyzing the full funnel, you’ll be able to make smarter decision. These are just examples of some of the important metrics you should report on. Depending on your company goals, there may be other metrics that you need to prioritize. Myth #7: Data from different software platforms should always look the same. Different software platforms have different definitions for their metrics. A great example of this is Google Analytics and HubSpot. In Google Analytics, a visit is anytime someone comes to your site from a referring source. All interactions on your website are counted as the same visit for the next 30 minutes. In HubSpot, a visit is anytime someone comes to your site from a referring source regardless of the time frame. As a result, the number of visits in Google Analytics and the number of visits in HubSpot will be slightly different. So don’t try to compare the data from different software platforms — instead, compare trends. You should see the same general increases and decreases in your data pulled from different platforms. Don’t worry about the fact that one piece of software says you have 50 more visits than the other. If for some reason the trends in your data is not matching up, double check that your tracking is set up correctly. For example, if your tracking code for each platform is not on all of your pages, you may see some bigger differences. Check with your software provider to make sure you are set up correctly. Myth #8: Having data matters more than taking action from your data. Pulling data for the sake of having data is pointless. It takes time out of your schedule that could be used to create content, run campaigns, or develop a strategy for your next project. So don’t let your data go to waste. When you conduct a data analysis, plan on taking action based on what the data says. If you run an analysis on a campaign you are running, and the analysis shows that your approach is not working, don’t be afraid to make changes halfway through your campaign. The most important part of any data analysis is the ability to pull out insightful information and take action based on your findings. As you analyze your data, think about how you can incorporate your findings into your current or future campaigns. In addition to Google Analytics, Google provides another powerful tool to help you manage and track your SEO efforts. It is called the Google Search Console (formerly known as “Google Webmasters Tools”). In addition to helping users maintain and fix website problems, the Google Search Console provides valuable information to measure and track SEO performance. The following articles offers an overview of these features. Ranking on Google can be a very difficult and time-consuming endeavor. Sometimes it’s hard knowing where to start and where do go next. What steps do business owners need to take to progress and see improvement with their keyword rankings? One of the first steps I recommend is setting up Google Analytics and Search Console. Search Console is a free resource that helps users maintain, monitor, fix, and understand a website’s standing in the eyes of Google. Because there are so many aspects to this tool, I will attempt to give a brief overview of its individual sections and an idea of what you can do and manage through Search Console. 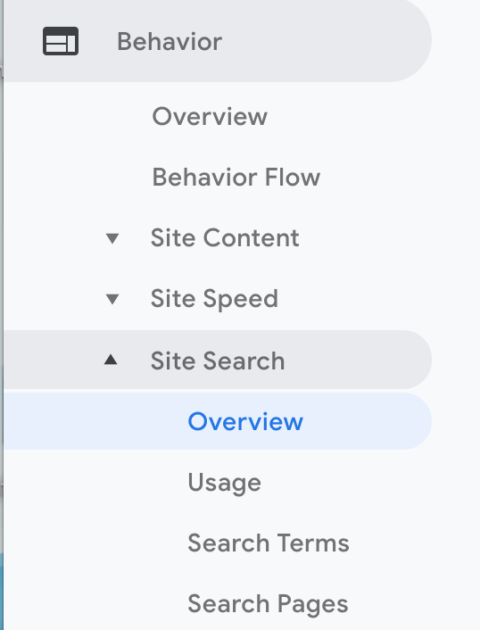 The Dashboard section of Search Console consolidates important information including crawl, site, and URL errors. At a glance, you can also see how many organic clicks your website has received over the past month. This part of Search Console displays messages from Google that are important to the health and ranking of your website. Google has sent out several mass messages, including messages that advised website owners to fix mobility issues and to not block valuable information. Search Console also displays specific website messages. In the example below, a website received a message about hacked content. When opened, the message goes more in-depth about the problem and the steps to fix the problem. If you notice a number next to your messages, read them and make any necessary changes. Many active websites use Search Console, so if you are unsure what the message means or if it requires action, do a Google search to see how other people have dealt with the same issue. In this section, you can mark up individual pages on a website and influence how that page will look in a Google search. There is no guarantee that Google will implement the suggested changes, but it is definitely worth a shot. The above example shows different visual options you can add, including sitelinks, search within a site, rich snippets, and breadcrumbs. Google recently added Accelerated Mobile Pages to the Search Appearance tab. Accelerated Mobile Pages is a specific open source coding that allows mobile pages to pull up faster. Read Google’s Official Blog (Links to an external site. )Links to an external site. for more information. 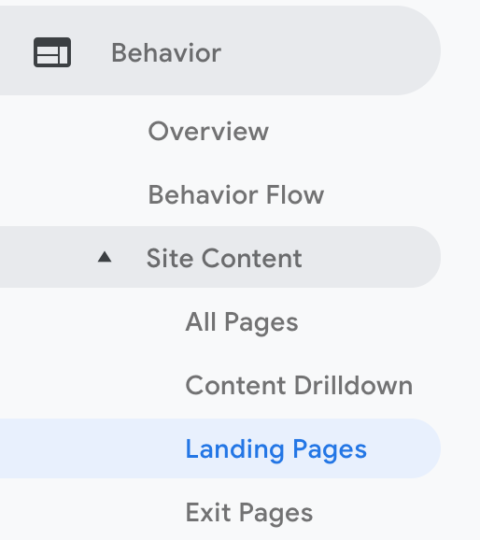 This section includes helpful information including search analytics, links to your site, internal links, manual actions, and mobile usability. With this information, you can see where your website currently stands in the eyes of Google. If Google took any manual actions against your website, take care of them as quickly as possible. 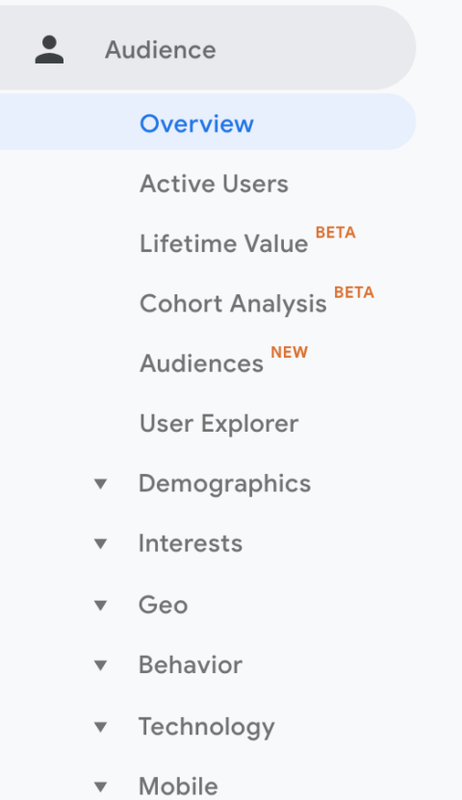 Below is an image of the Search Analytics subsection. It lists the impressions, average position, and click through rates for up to the last 90 days. Use this information to determine what keywords/queries drive traffic to your website. You can get more granular and see which pages on the website receive visits through Google placement and even which devices (desktop, mobile, tablet) people use to visit your website. Google Index lets you know how many pages are indexed on your website over time. You can also prevent URLs from getting indexed and see if any pages are blocked from being indexed on your website. The image below comes from a subsection of the Google Index tab labeled “Content Keywords.” It shows how often you use certain words on your website. Make sure the most important services and keywords for your business and website are listed here. Use this section to set up and verify the pages you want Google to crawl. Under this tab you can upload a sitemap (a file on your website that helps Google find and index the pages on a website) and test your robots.txt (a file on your website that lets search engines know if there are pages that should not be indexed). You can see potential site errors such as server issues, broken pages, and connectivity problems. If you notice errors, dive down and look at the specific pages. Once resolved, mark the issues as fixed in Search Console. Security issues on a website can completely derail any organic traffic you receive through search engines. Luckily Search Console lets you know if it sees any potential security risks to your website. If you notice an issue, take immediate action, which may include calling or hiring a webmaster. This tab is a resource for people wanting additional assistance and education on different Google and website-related topics. Visit this resource for help with structuring data, increasing page speed, and building valuable content.